It’s not too late to book! 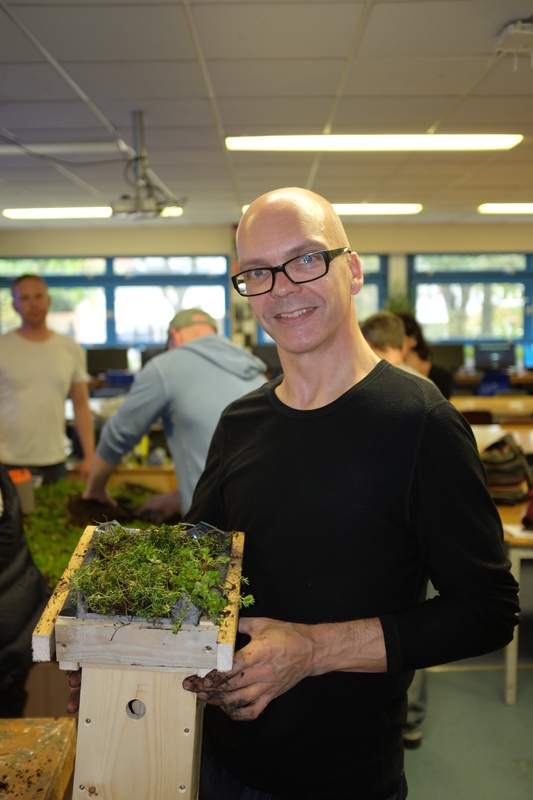 Not too late to book your DIY Green Roof course! 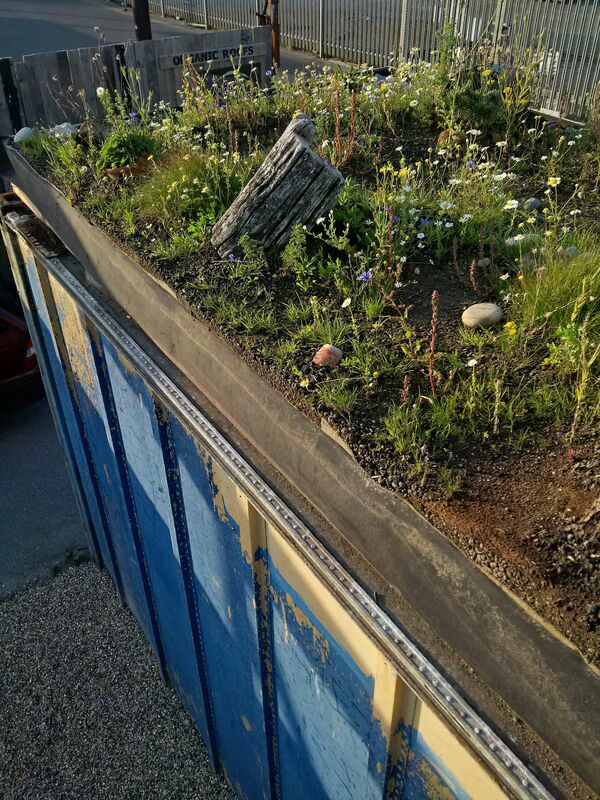 It’s not too late to book your place on this year’s DIY green roof course! have fun, learn new skills and make new friends! You never know, you might be so inspired that you jack your job in after the course – and become a professional green roofer. That’s exactly what previous course participant Lee Evans did! 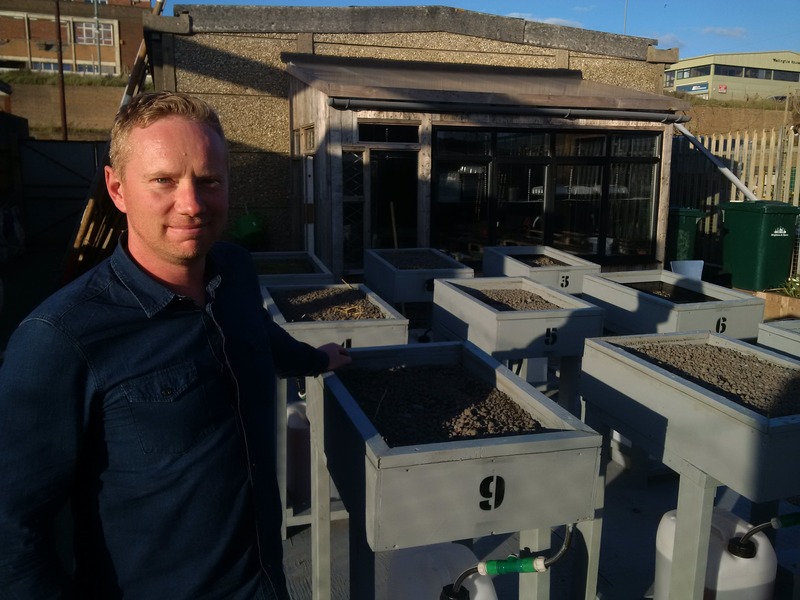 I visited Building Green partner Organic Roofs‘ workshop and green roof demonstration centre in Shoreham recently. Organic Roofs head honcho Lee Evans showed me around the site, which has an amazing view of the harbour. 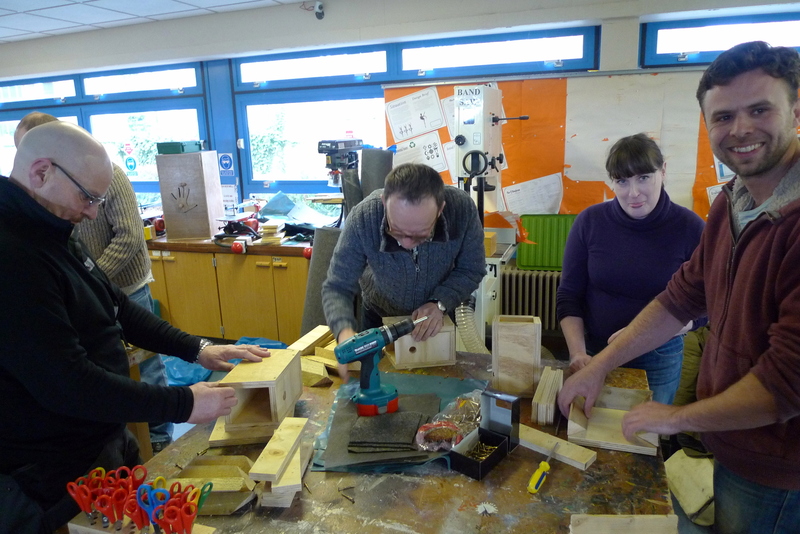 We will be holding the next green roof DIY workshop there on 24/25 October – book here. It’s a great venue for it. 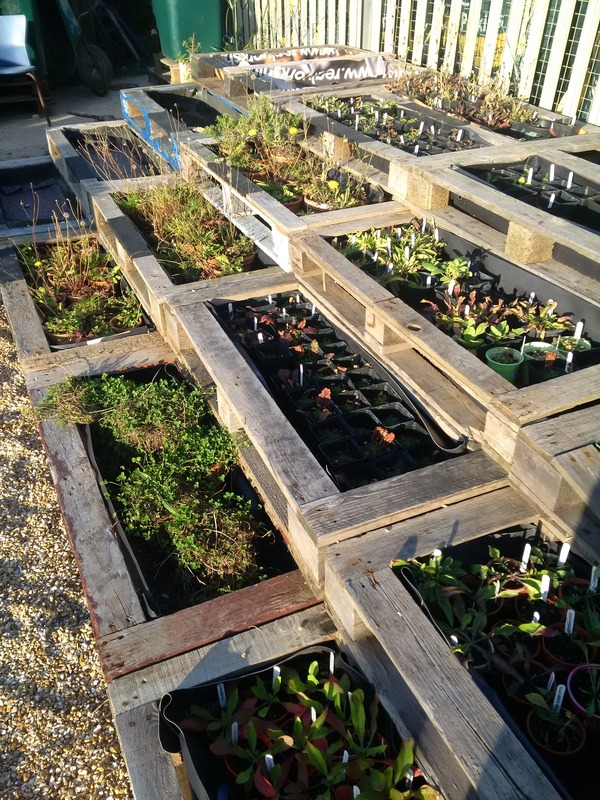 On the site are two green roofs created on shipping containers, a nursery for green roof plants, and a new research station that will be measuring the performance of different substrates and plant systems. There’s also a ‘waste office’ which takes after the award winning Waste House in Brighton. Organic Roofs won a number of awards recently, including NRFC Green Roof of the Year, Brighton & Hove’s Best Environmental Industry Company, as well as being finalists in 2 other categories at the #BAHBAs – Fastest Growing Company and Best Place to Work. 3 weeks left to book a place on the original Green Roof DIY course. 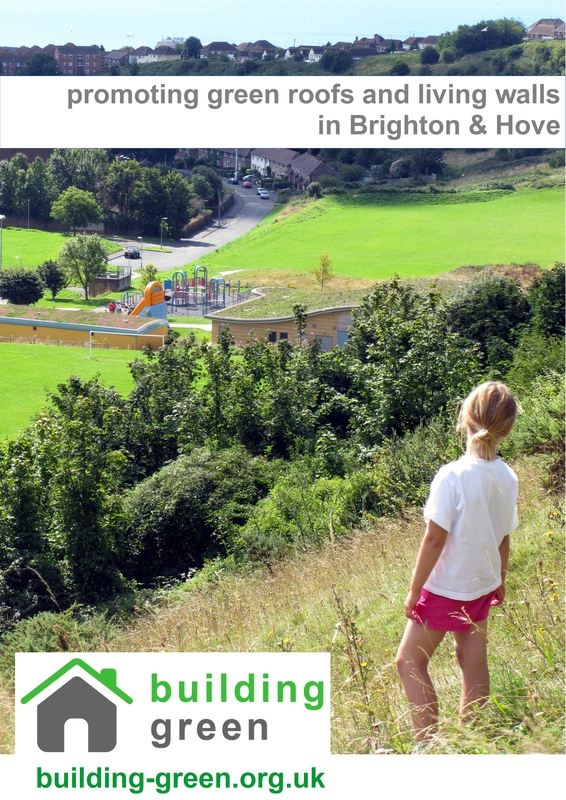 Book by visiting the Brighton Permaculture Trust website. 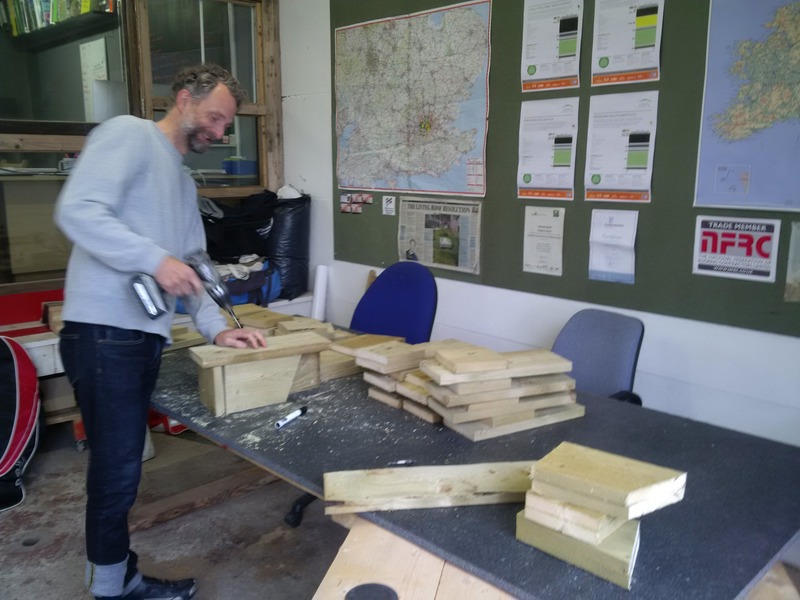 Running over the weekend of 24-25 October, this year we’ll be hosted on the Saturday at the Organic Roofs office and workshop in Shoreham. 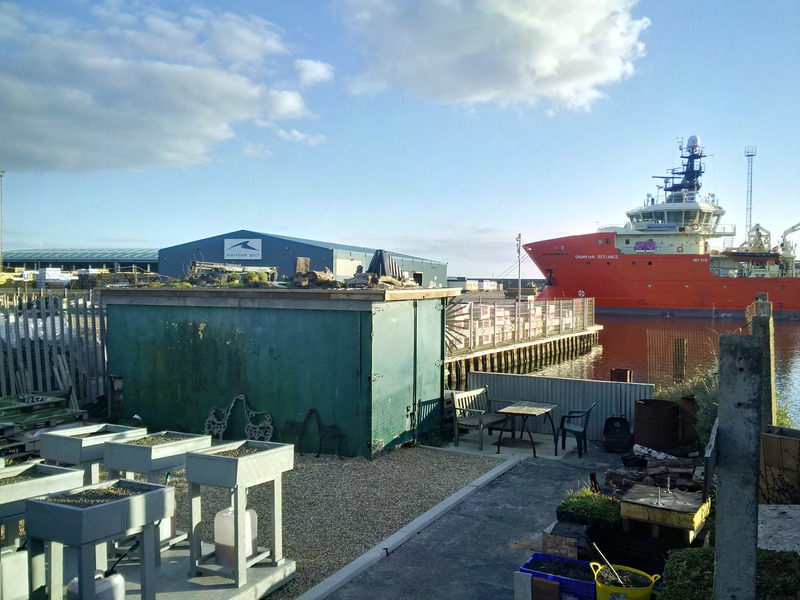 There are real green roofs to see close up, and plenty of materials to get your hands on…and an amazing view of the harbour to boot! Or is that ‘to boat’. Come say hello at the Big Nature event in the Brighton Centre, this Saturday 3 October, 2-4 pm. It’s free! Building Green will be there with a stand, a ‘flowery building’ competition for kids, and we will be doing a free talk on how to DIY small shed green roofs. We’ll be signing people up for the DIY Green Roof weekend. 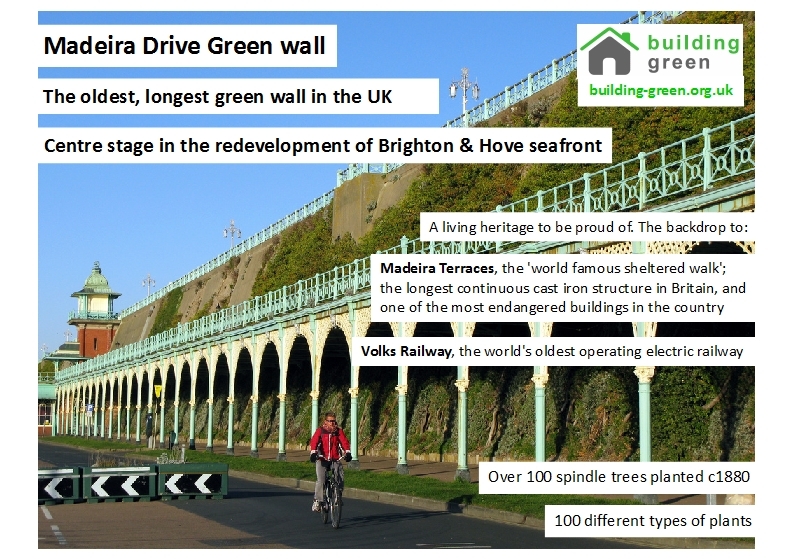 We’ll also be talking about the importance of Madeira Drive green wall, and hoping to make new contacts that can help promote green roofs and living walls in the city. Book your place and learn to green roof! Building Green is running our DIY Green Roof course on 24-25 October in Brighton. 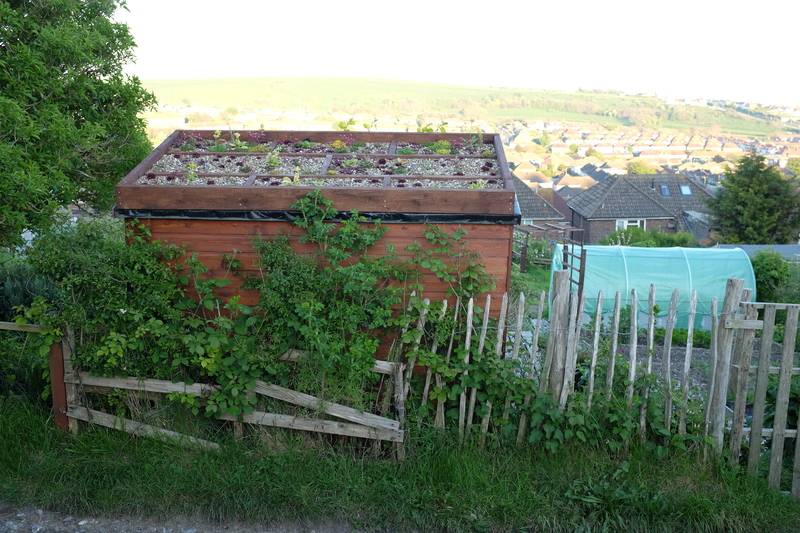 This is run with our partners Organic Roofs and Brighton Permaculture Trust. It’s the first of it’s kind in the UK, and was established back in 2007. Learn hands on how green roofs work, question the experts about your project, and visit some inspirational examples in the city.